The US President could be indicted if he orders torture, which is a war crime and violates Federal US law. It is not worthy of America, says human rights campaigner Jeremy Varon. John Hajjar of the US Middle East alliance to support Trump also contributed. The Trump administration is reportedly drawing up an executive order, which would allow captured members of ISIS to be sent to Guantanamo Bay, the detention facility located on a US military base in Cuba that Barack Obama promised - but failed - to close. According to the New York Times, the White House is determined to push ahead with the plan, despite warnings from national security officials and legal scholars, who say the measure could undermine America's efforts to defeat the terrorist group. 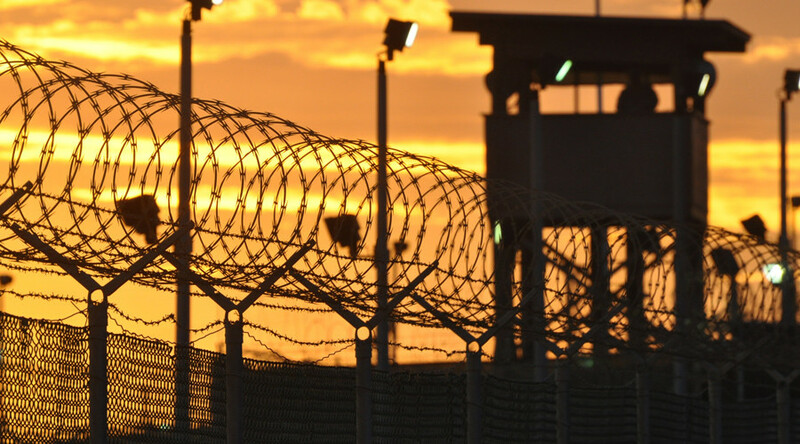 Inmates at Guantanamo have been detained indefinitely without trial and several inmates were reportedly tortured. The camp has been called "the gulag of our times" by Amnesty International. John Hajjar of the US Middle East alliance to support Trump, and Jeremy Varon, human rights campaigner, Witness Against Torture, discussed the issue with RT. RT: Guantanamo has become notorious for the use of torture. Why is Donald Trump planning to continue using this facility when there's been so much public outcry? 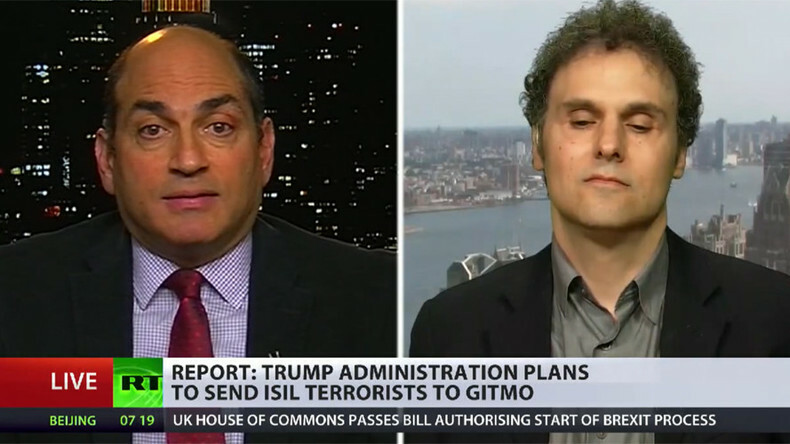 — RT America (@RT_America) 4 января 2017 г.
John Hajjar: I object to the characterization of Guantanamo as a notorious place of torture. The Islamic fundamentalist combatants who have been housed there since 2001 have been treated very, very fairy. That is just hysteria from the left calling it a torture chamber. President Obama stated he wished to close Guantanamo Bay – he did not achieve that goal. Luckily for President Trump GITMO is still there. It provides a very valuable function, serves a very valuable function to house these most dangerous people from around the world involved in Islamic fundamentalist activities. It provided a great deal of information on their activities and allowed US Special Forces to act on the intelligence that they have gained from interrogating people there at GITMO. So it should remain open, and President Trump is intent on doing that. RT: ISIS is the number one threat at the moment. Do you think there will be public supporting the streets for putting suspects in GITMO? Jeremy Varon: Unfortunately, Trump is fear mongering and whipping up hatred and fear of the other. It might work with some portion of the population to think it is fine to send ISIS folks to GITMO, but it is wrongheaded from a military standpoint, and wrongheaded from a moral standpoint. What [John Hajjar] just said is absolute nonsense. Torture took place at GITMO pervasively. The FBI observed it. The UN said what happens there is tantamount to torture. There are dozens upon dozens of testimonials from people who are victims of torture at GITMO, saying they were tortured, verified by their attorneys in affidavits, and so on. So what you’ve heard is the example of the kind of alternative facts, if you will, that has terribly misled the American public, and then some sadly embrace something that is worthy of tyranny, not a proud constitutional democracy, and should be thrown in the dustbin of history. RT: What about the current detainees still at Guantanamo? Do you think they will suffer should the order come through? So there is a lot of information to be garnered. Whether or not we want to admit it in the West, the Islamic fundamentalists around the world – both on the Sunni side and the Shia side declared war on the Western world, our values, our civilization. And if we don’t engage in the war, we would lose. RT: However, these are all just accusation. None of the detainees at GITMO have actually been proven to be terrorists. Given this, do you think the torture methods can be justified if they haven’t been provided a court hearing? RT: President Obama promised to close Guantanamo Bay, but failed to do so in eight years of his presidency. Do you think Trump has the right to move forward with his agenda here and keep torture in place?